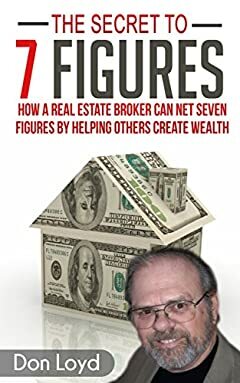 Whatâ€™s the difference between a real estate broker who makes over $1,000,000 a year and one who struggles to break even? Often itâ€™s as simple as mindset and up-to-date tools. Itâ€™s true. If you have the right mindset and right tools, you become unstoppable. On the other hand, if you donâ€™t have the right mindset, little obstacles become insurmountable challenges that can literally stop you in your tracks. Because Iâ€™m so committed to the success of those who have dedicated their lives to the important profession of real estate, Iâ€™ve put together a system designed to help shift any brokerâ€™s mindset from someone who wonders if they can make a living at real estate to a mindset of KNOWING you can. I have generated well over seven figures multiple years. I want to share with you how I did it. â€¢Learn how to jump start your real estate business and begin making money immediately. â€¢Understand how to shift your mindset from an "average" broker to one who is in-demand and commands lots of attention.